Old oil cans and oliers were common items found in shops, garages and barns during the industrial age. I would go out to my grandfathers barn where his shop tools were stored, and the air was filled with the smell of stored hay and used motor oil. Everything ran smoother with a few drops of oil. Oilers came in every shape and size possible and were made of different metals. Some were works of art. Today they are rare relics. You can find them if you spend some time browsing junk and antique shops. 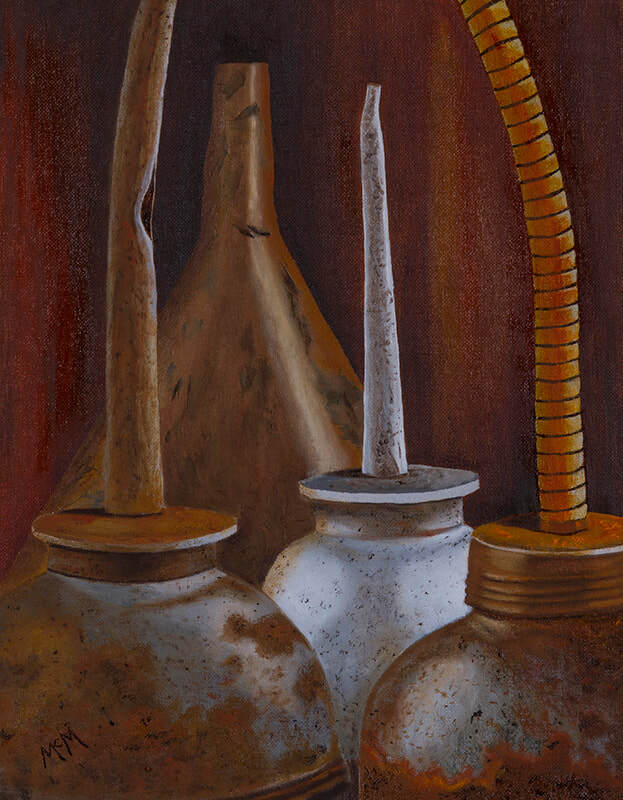 Natura Morte, Oilers is part of my painting series "Relics of the Industrial Age". ​• Many artworks can be purchased either framed or unframed. • We ship free anywhere in the United States.